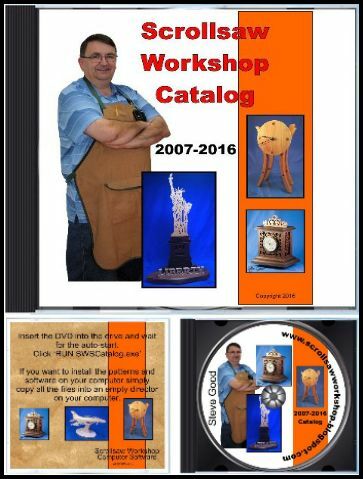 The images for the Lori Scott drill press table were missing from the article for some readers. The problem has been corrected on the blog. 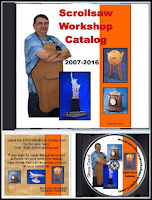 You can visit the blog to read the article with the images. 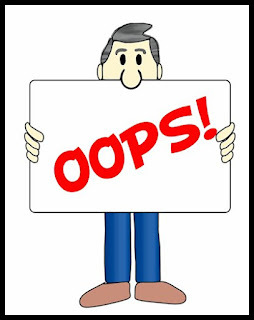 The email Newsletter can not be corrected once it has been sent. 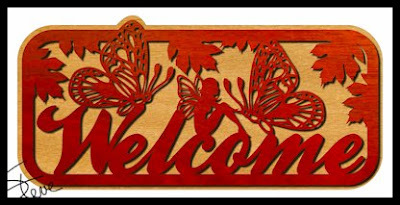 Butterfly and Fairy Welcome Sign Scroll Saw Pattern. Segmentation Video Tutorial. Large butterfly and Fairy welcome sign. The finished sign is slightly over 16 inches long. The pattern is broken up over two pages. 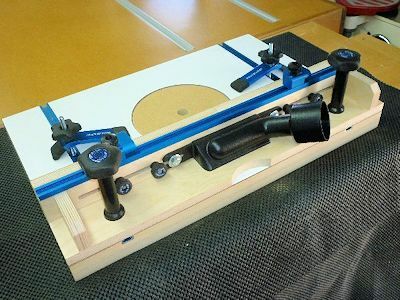 Tape the pattern back together at the cut lines and apply it to your wood blank. 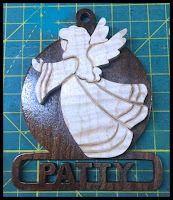 I have had several requests for a tutorial on the Personalized Segmented Angel Christmas Ornament. In the video below I show every step of the process. Even if you understand segmentation patterns you may find some pointers for this project. One thing I show is the use of Peel and Stick as an inexpensive blue painters tape replacement for applying patterns. I will do another blog post showing the Peel and Stick in detail. Ornament orders are going well. I am getting them sent out within a couple days at this time. Thanks for all the orders. Keep them coming and I'll keep then shipping. I received this email from Lori Scott today. 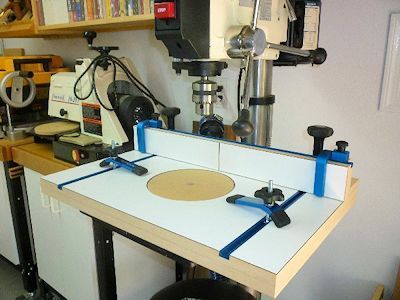 She put together an excellent write up on how she made this incredible drill press table. I have been looking at different builds to replace my table. I am pretty sure this is the one I will model mine after. I especially like the rotating insert. That is very practical. Thanks Lori for letting me share this with everyone. After watching your video review on the Seyco scroller's drill, I am going to buy one. I have looked at it before but felt I could get by without it. Your review sold me on it's versatility though! I just finished making this drill press table and fence (with dust collection) that will make life easier in my shop. I know you use your drill press a lot so thought I'd share how this turned out if you are interested. 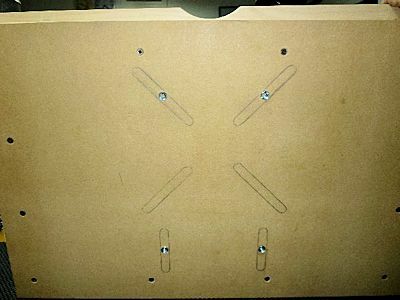 I noticed you have t-tracks on your drill press table. If you want to incorporate dust collection, you could make a fence like mine to use on your existing table. I didn't have any plans but gathered ideas online and came up with something that worked for me. I am also going to make another fence that is lower. The fence is closed in this picture but it opens up to allow for dust collection. Here the fence is open for dust collection. I put a T-track on top of the fence with sliding "stops". To prevent blowout as the drill bit exits, I made the rotating replaceable disk. To get a clean spot for a new hole, it just rotates around. Once one side is used up, it flips over to expose a new side. I made extra inserts but one will last a long time. The white top and front on the fence is Formica. I applied it to the MDF substrate with contact cement and chamfered all the edges. Here the disk is removed. I countersunk a larger hole under the disk to make it easy to insert my finger to rotate the disk. 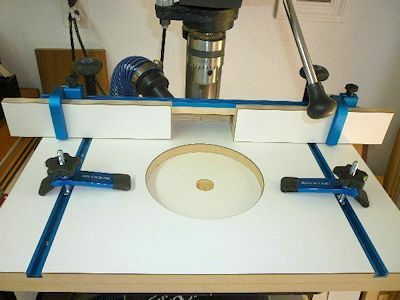 I cut a piece of Formica on the scroll saw to drop in the hole so the disk will be perfectly level with the top of the table. 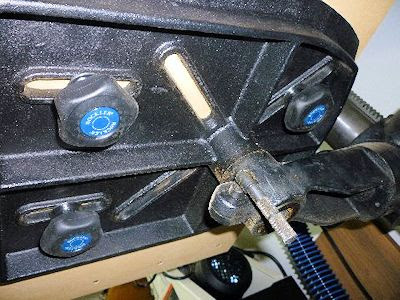 To easily attach the table to the drill press I installed threaded inserts in the bottom of the table. 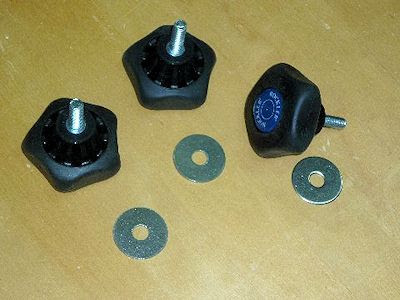 I bought the dust collection port and all the hardware (except the fender washers) from Rockler. Keep up the great work on your scrolling blog! 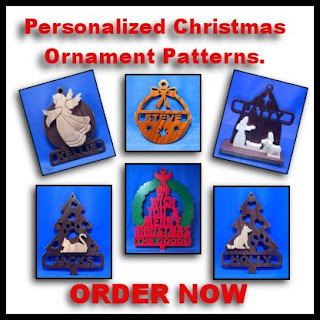 I just bought another of your patterns that I'm anxious to make for a Christmas gift. 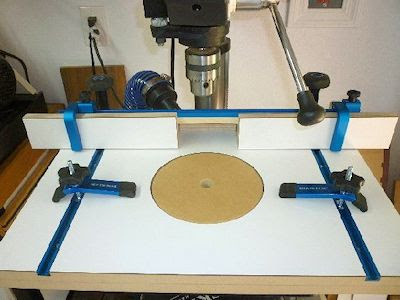 These strips of sand paper are very handy for the scroll saw artist also. 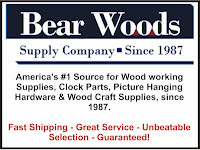 They are marketed to wood turners but have many uses. I use mine often to get into small fretwork areas. I fold them over to get into even smaller areas.